You can use rhombuses as a base structure for all sorts of polyhedral shapes. We clipped 60 of them together to make this rhombic hexecontahedron. 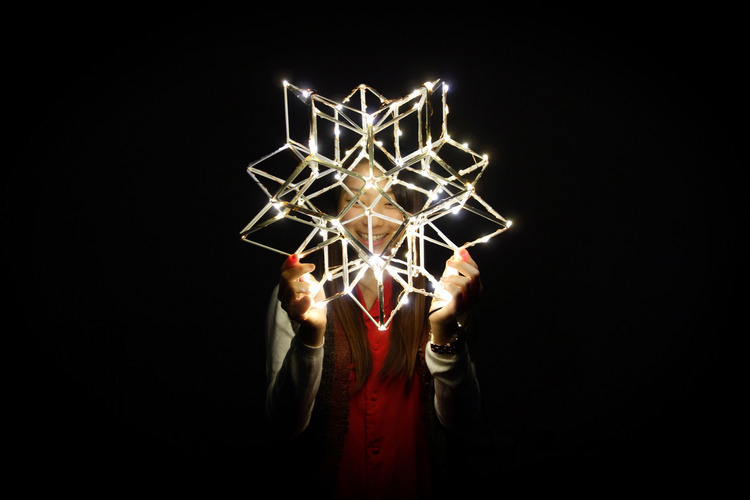 We coated our polyhedron with white spray paint and some LED copper string lights. 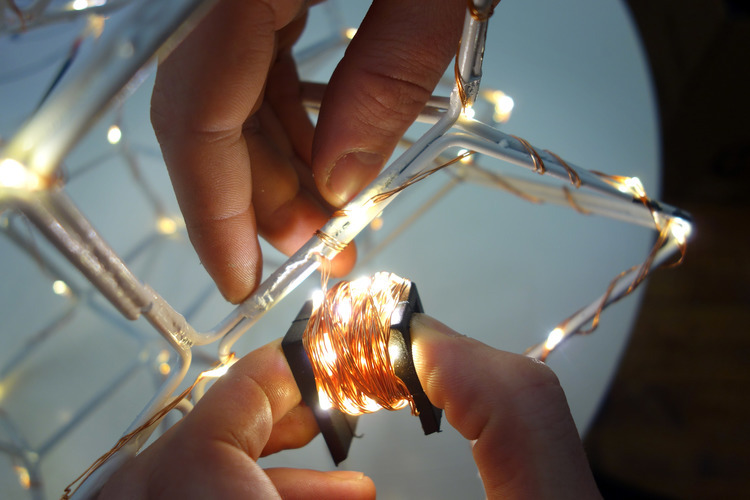 TOOLS: Wire Cutters, Clips, Soldering Torch, Solder, White Paint Spray, String Lights.